Golden Acre Farm is a diversified market farm, specializing in high quality, sustainably raised vegetables, fruits and beautiful cut flowers. Currently we are farming at two different sites one in Golden and one in Lakewood. We are located at the eastern end of North Table Mountain, at 4390 Easley Road in Golden and at 30 S. Garrison Street in Lakewood. 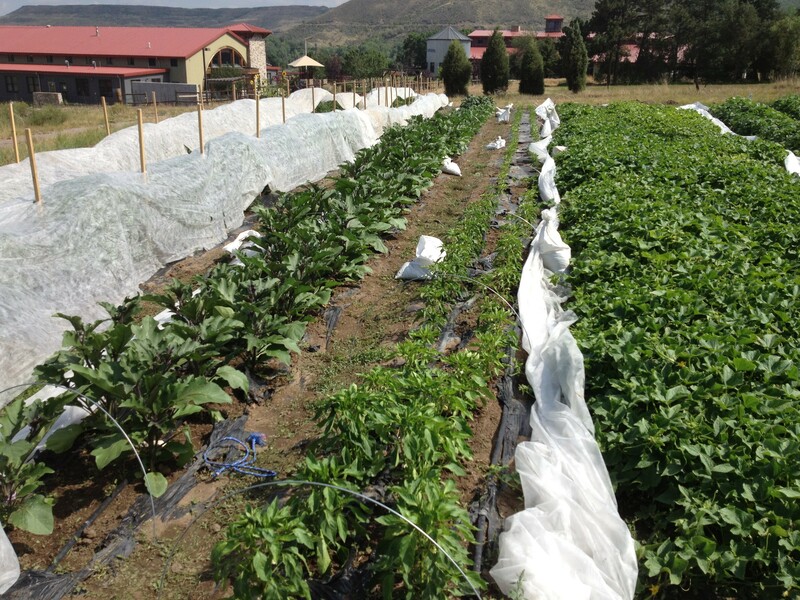 Using proven organic growing methods we provide the Denver Metro Area and our restaurant partners with local, healthy, and sustainably raised products. 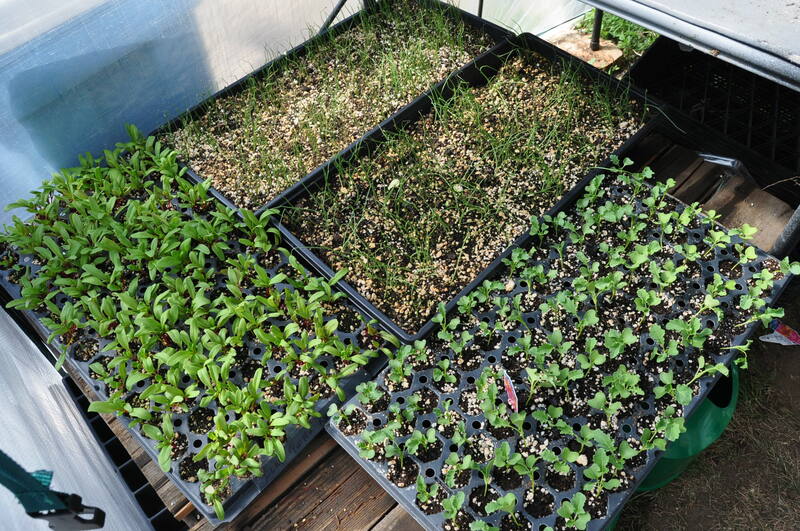 Golden Acre Farm is now entering its 6th year of growing food in the Denver metro area. Golden Acre Farm is a small, 1.25-acre farm encompassing two sites, which encourages people to leave the industrial food model and gives folks the chance to observe and learn small scale farming techniques and growing strategies. We work hard to increase access to local organic foods by promoting farm visits, supplying as many markets as possible, encouraging and hiring apprentices, hosting a CSA, and giving back to the community through donation. In 2017, Golden Acre Farm has added two wonderful employees. Ursa will be our Farmer’s Market Manager and Mary will be our Assistant Manager. 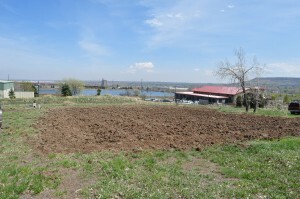 Both are vital assets not only to Golden Acre Farm but to the Denver food community as well. Stop into the Farmer’s Market to seem them on Sundays. Golden Acre Farm started in the winter of 2012 by a seasoned farmer named Jason Plotkin. With fifteen years of growing experience in Connecticut, Vermont, and New York, Jason, with his skills in raising vegetables, fruits, flowers, wine grapes, pigs, and chickens, realized the need for local, sustainable agriculture in Colorado’s Front Range. 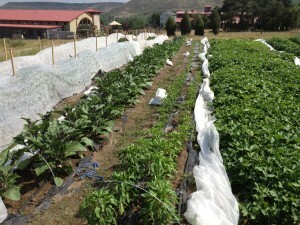 Starting as a half-acre operation in Golden, CO providing vegetables, fruits and flowers to local restaurants and the Highland Farmers Market, Golden Acre Farm has grown immensely over the past four years. In 2015 we added more restaurant accounts including a special relationship with the Bon Appétit Café at Regis University. Glenn Babcock, Executive Chef for Bon Appétit, has been a huge supporter of Golden Acre Farm throughout the years and has committed to continue that support in 2017. Our winter hoop house is erected and is produces 50 pounds of greens a month for the cafeterias at Regis University. Here at Golden Acre Farm we strive to connect people in the city to fresh produce by creating social and economic bridges from city to farm. Our sustainably raised flowers and produce are grown with proven organic methods to ensure we are providing our customers with the healthiest, freshest, and most environmentally responsible products possible. We believe that everyone is entitled to healthy, local food and that people should have access to the farm from where their food comes from. 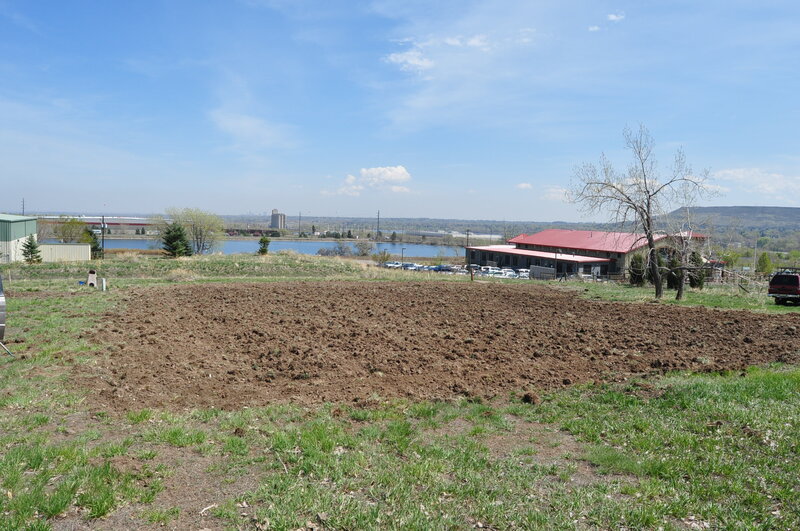 Golden Acre Farm encourages people to utilize us, their local farmers, as a resource for education, dialogs on food security and access, and the promotion of Denver’s local food movement. Accessibility to the farm and farmer is extremely important to growing relationships within the community and strengthening the bonds between what we eat and where it comes from. Since the beginning Golden Acre Farm has been dedicated to providing our local community with fresh, organic, sustainably raised products, while protecting and improving our land. This means we have chosen to use sustainable methods, proven biodynamic techniques, and to gather as much information as possible about our soil and environment to ensure its health and longevity. We value the earth and what it gives us, which is why we have decided to NEVER use synthetic fertilizers, pesticides, fungicides or any other harmful chemical. We amend our soil each Spring and Fall with locally made compost, rotate crops each season, and lay down cover crops every winter to reenergize, strengthen and improve our soils. Growing a large diversity of crops, varieties, and by saving seeds we promote biodiversity and ecosystem health as much as possible. The farm is a living machine that with constant care can provide healthy food and help build healthy relationships for years to come.